A thick glass covered flooring, atop a high place, for the purpose of standing, walking, ogling and testing one’s ability to withstand heights, it’s not a new concept. However, the newest skywalk in Bangkok, as the concept is called, is being billed as the biggest ever. 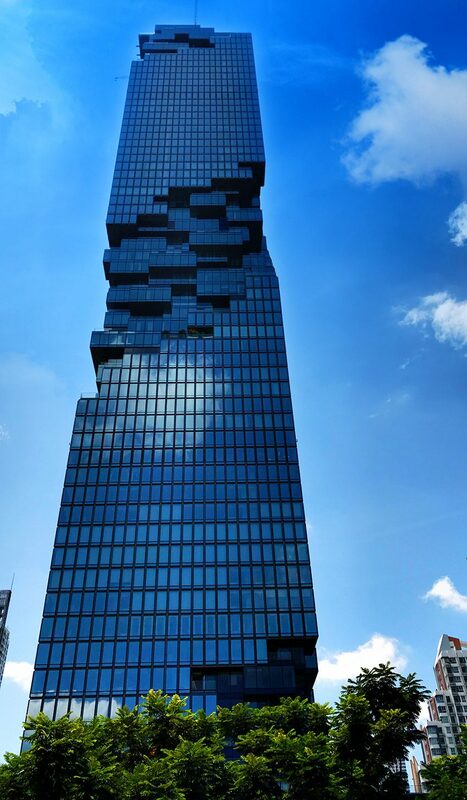 It’s located in Thailand, specifically atop the Mahanakhon building, Thailand’s tallest structure. The skywalk affords those not afflicted with acrophobia with 360 degrees of viewing pleasure, including straight down for a total of 314 meters. The walk is on the 74th floor and reached by an elevator that can ascend in as little as 50 seconds. King Power International, the group responsible for the walkway, are certain the new hot spot will benefit tourism, besides also proving befitting of the new Thai identity in the eyes of the world. Besides the skywalk, the building has shopping malls, International food offerings and duty-free shops. There are observation decks on the 74th and 78th floors. Many people have a wish list that includes going to visit Bangkok at some point in their lifetime. There are so many things for people to do in the great city of Bangkok as many tourists frequent it. The views that can be seen from this air walk are spectacular and people get great photos from it. Later this year, the Orient Express Mahanakhon Bangkok will open in this building. You can read more about it and other hotels opening in Thailand this year in the 2019 New Thai Hotels Master List. This entry was posted on Friday, February 8th, 2019 at 12:20 pm and is filed under News. You can follow any responses to this entry through the RSS 2.0 feed. You can leave a response, or trackback from your own site.